SINGAPORE: Two men between the ages of 24 and 25 were arrested by police outside the Istana on Saturday afternoon (Apr 4). 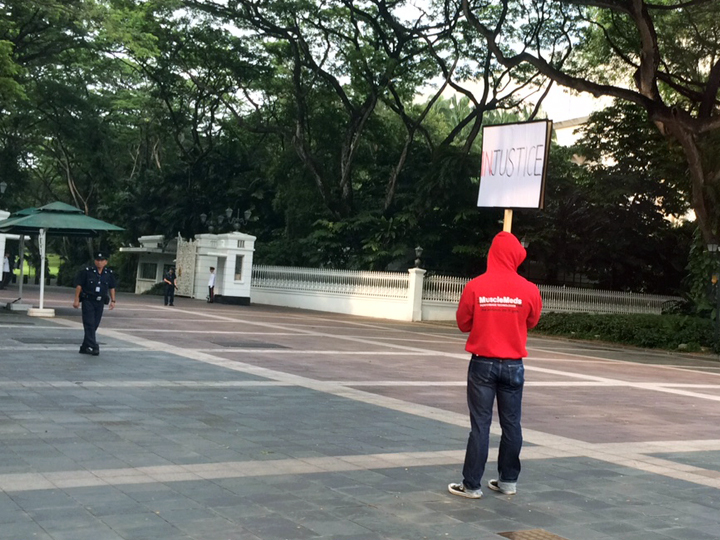 Police said the duo had turned up in front of the Istana with placards at about 4pm. 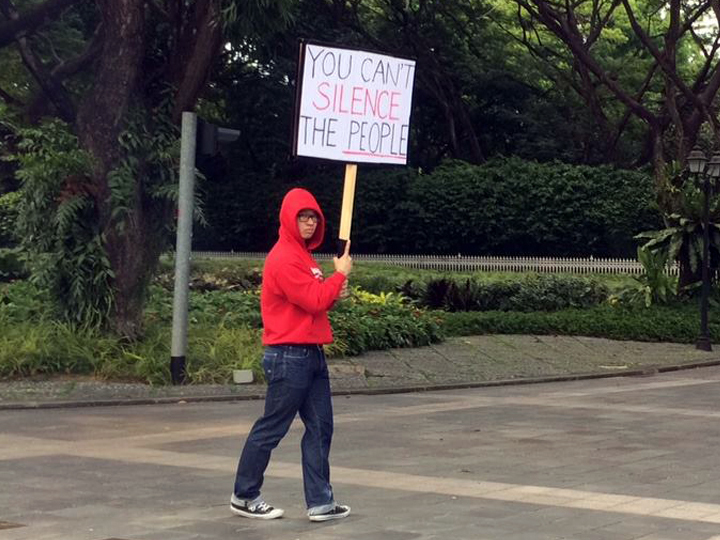 Channel NewsAsia understands that the men were holding signs that read “You can’t silence the people” and “Injustice” for about half an hour. They were clad in identical red hoodies and dark blue jeans. Police also said both of them had refused to stop the activity despite requests from officers. As such, they were arrested for organising a public assembly without a permit, under Section 16(1)(a) of the Public Order Act, Chapter 257A.